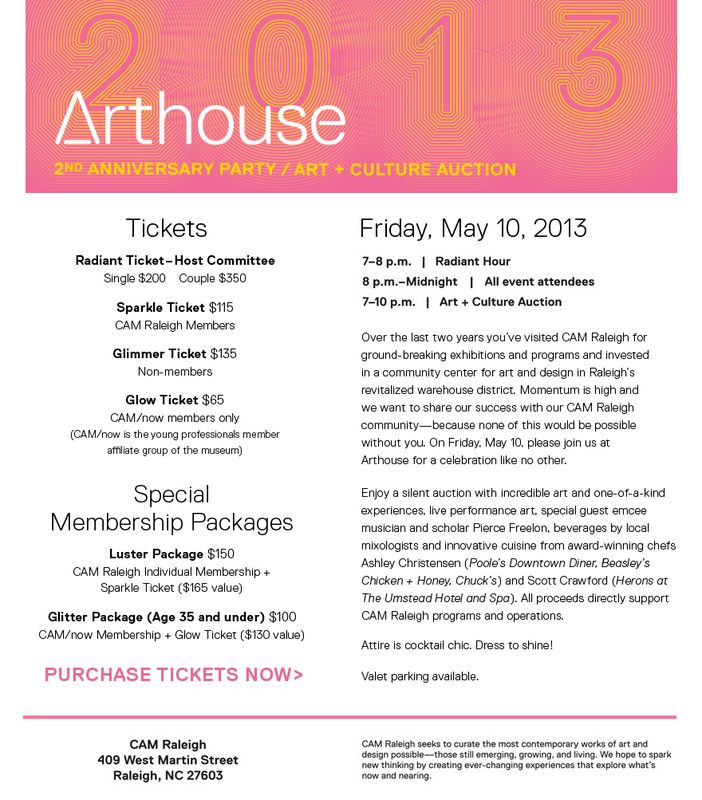 Thanks to all the guests, sponsors, donors, volunteers and crew who helped make Arthouse 2013 a huge success! We couldn't have done it without you. We have just the thing to help you remember this special night! Please visit our new CAM Raleigh Photography Store to view photos from Arthouse. Browse photos from the CAM/corder, the InfraRed Photo Booth, and from our photographer, Joseph Rafferty. Purchase prints and other items with photos from the party! 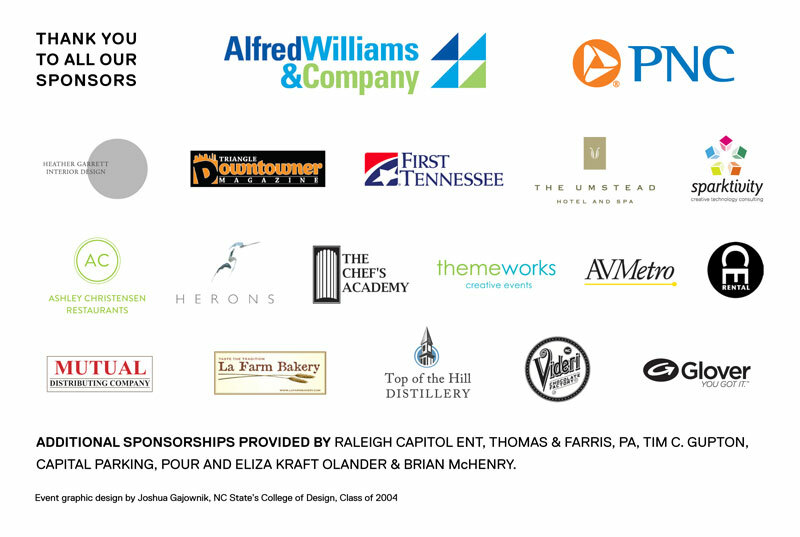 Proceeds from your purchase go to CAM Raleigh operations and programs. Photos will be available online Wednesday, May 15. Thank you for joining us at Arthouse 2013, and we hope to see you at the Museum again soon! ONLINE AUCTION - Site is disabled after the event.